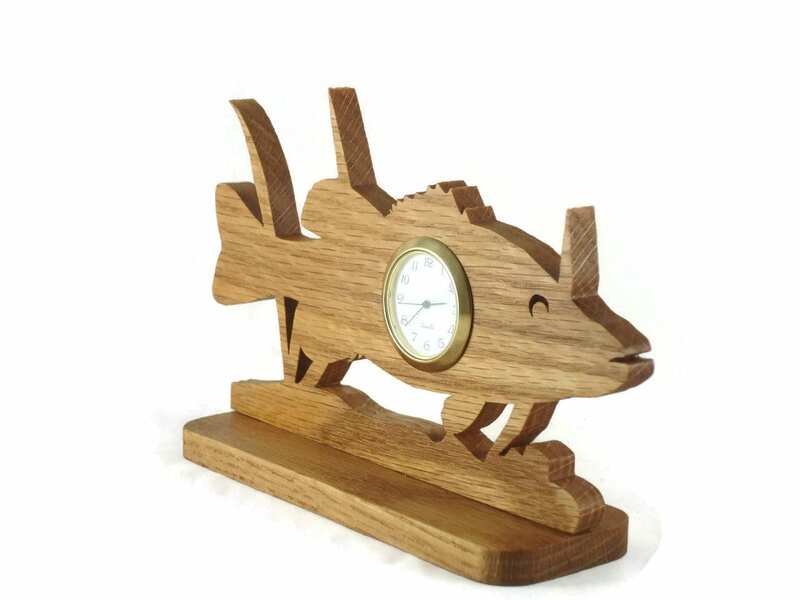 If you or someone you know enjoys fishing and the outdoors then this is the perfect clock to decorate your desk or shelf with. 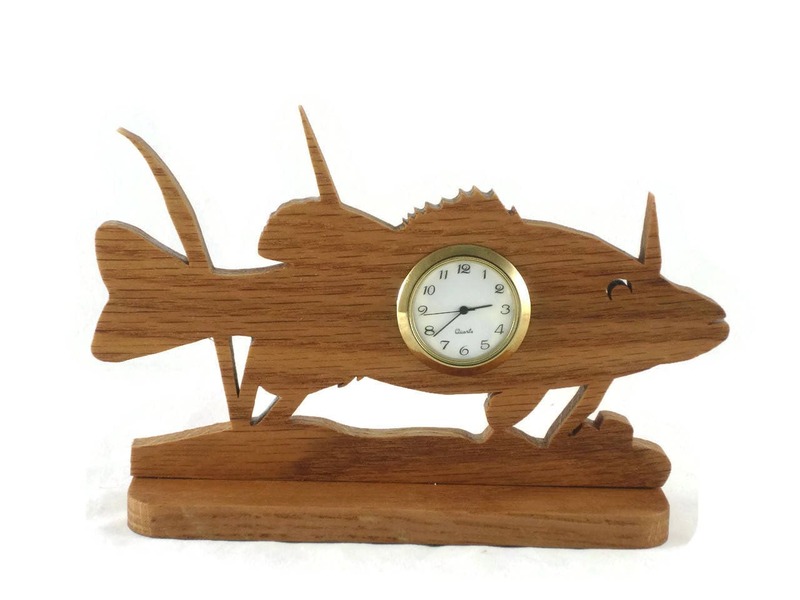 This fish clock features the side view of a fish from an underwater view with some plant growth. 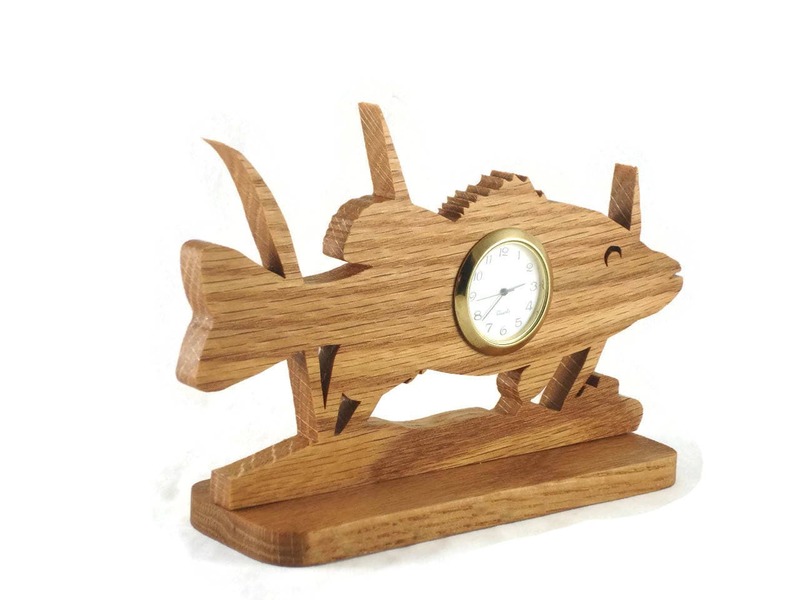 This unique timepiece was cut out from Oak wood by hand ( Handmade) using a scroll saw. 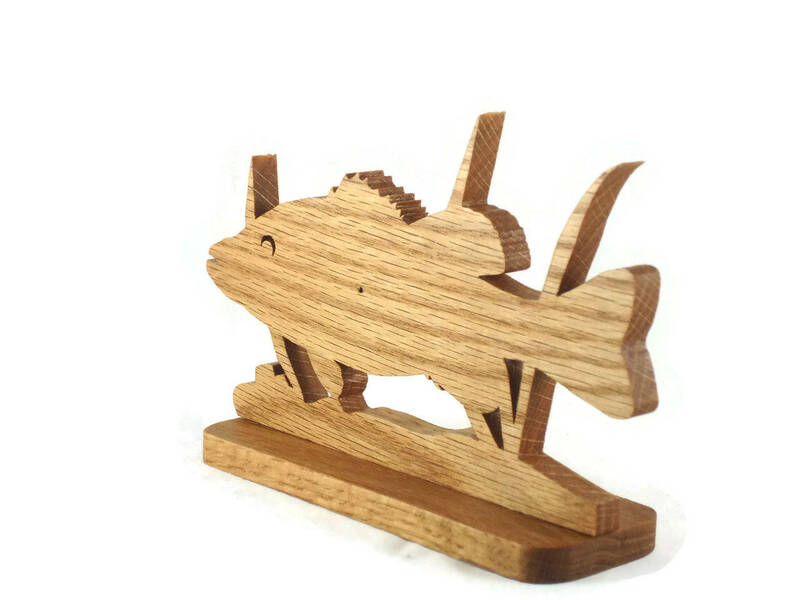 A Natural non-toxic beeswax and mineral oil finish was applied to bring out the natural beauty of the wood. The 1-7/16 inch Quartz clock insert features a ivory color face with black Arabic numbers, covered with a glass lens surrounded by a gold plated bezel / trim. 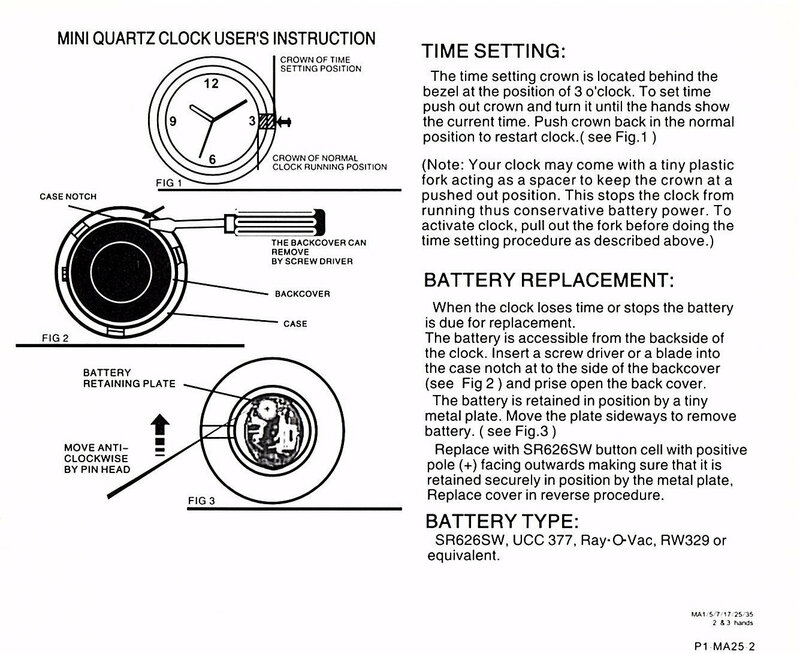 A stainless steel back cover encases the little watch type battery. Battery is installed and is ready for you to activate it. 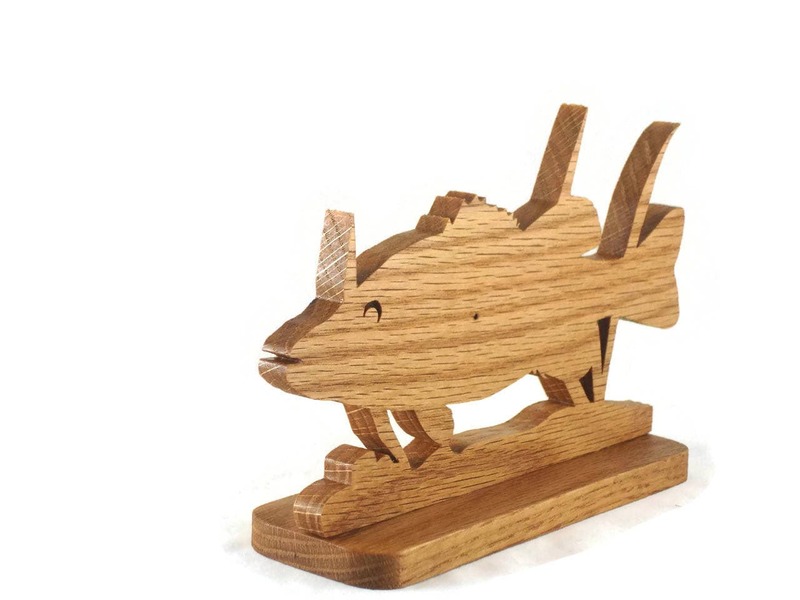 Like this to be made from a different type of wood? message me, I would be happy to make a clock just for you.